catch up with the knowledge I've gleaned at different times. I have had built-up Vege garden beds at 3 adresses previously....and in pots here for 3 yrs. days. Don't you love Nature? The best thing about gardening is that you can have Nature at Home and the tasty rewards! I am waiting for the Dwarf Avocado Trees to be available at Daleys......also the Itchi Dwarf Persimmon and the Blue Provencial Dwarf Fig Trees. I have been buying some fruit trees from Bunnings and they recommended Perrys Nursery for specialty items.....that's when I found Daleys Online.....what a Discovery!!! Granny Smiths are old fashioned I know. Did you hear they are a great companion for Pink Ladies and Pinkabelle? It's true. They are crisp and tangy for fruit salads and also give a pleasing twist to a home made Vege Juice with Carrot and Celery. You can also add a little Beetroot if you like. One lady I met adds a touch of Ginger instead. I may place a recipe on my hobby-site! ECO-SOIL (organic) as a precaution against problem insects like aphids, mites, scale and leafminers! Comments: - I just love my new Blueberry plants. I bought 2 Blueberry Burst from Bunnings before I went interstate for a few days - I could not wait! When I heard they are evergreen and bred for Australian gardeners, I just had to try them. Deciding at prsesent which variety I will choose next. My BB is loaded with flowers, and I don't want to take them off - we should do that for the strength of the plant. I may leave berries on one of them and compare the plants. Not sure if I will use different potting mix for each. They will be growing in Pots. Question: Would you recommend trying Peatmoss and Garden Sand for one of these plants if I want to venture? Peatmoss for acid and moisture and Sand for draining. Blueberry likes moisure but not wet feet and I'm planting them in Pots. I love the pleasant open shape of my Myer Lemon. My research revealed to me recently that the Lemonicious has only a very short fruiting time whereas the Meyer fruits faithfully for most the year and the Eureka throughout the year....an ideal choice if you want two trees! The Dwarf Eureka is available here on the Daleys website - there's not much they don't have since I've been looking more closely. For those who don't know, the Meyer Lemon is a cross between an orange and a lemon and is delightfully sweet and juicy. A once elderly friend of mine had a Meyer growing in one of those big wide enamel tubs in the corner of her patio that had heaps of lemons and is very pretty like my mum's Washington Navel. 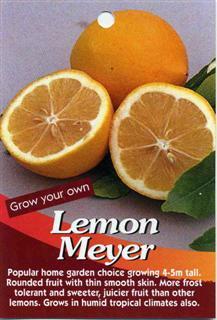 For some of us, half a Meyer lemon is sufficient on it's own in a glass of water without sugar. It is nice and soothing with a little honey in hot water. If you add 1/2 tsp of fenugreek seeds - leave them there as you drink - this will help you during the winter months. ECO-OIL (organic) as a precaution against problem insects such as aphids, mites, scale and leafminers! How long is it usually before you get lots of lemons growing on a Meyer Lemon tree? 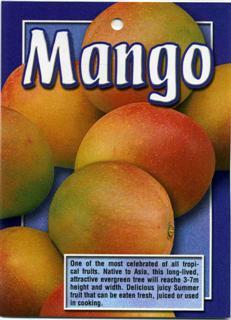 I'm aware the they fruit pretty profusely. About how many years before they start to do this please. My Dwarf Valencia Seedless is really nice....a beautiful upright shape and healthy leaves. It was grown by Brunswick BWP but is worth mentioning. I was looking for several months for a nice one and a staff member at Bunnings I'm friendly with found it among the other citrus. I have purchased 6 other dwarf fruit trees from them but I want to go Daleys now because I'm after specialty trees they do not sell. DALEYS has them! I thought I would have to pay Perry's nursery prices for Dwarf Persimmon (non-astringent) etc but I have seen excellent INFO on this website several times, so I checked their prices now I am ready to grow fruit trees. I've been undecided about planting them here but the 50cm Pots are great in case I need to shift at some stage. Besides, the soil here is shale after the first 6 inches....not very encouraging. There's always a way......hey? I love my Pinkabelle....she's 8 months and has a nice formation with lovely leaves (before winter) I can't wait to pick some Pink Lady apples. This is a good choice! To me, it's much better than the Ballerina Apple Trees - though some gardeners might like them - the Pinkabelle grows 2 Metre x 1 Meter. It's more of a tree - it's nice to have branches! 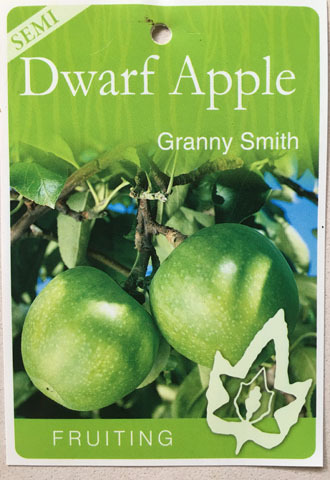 My sister bought a 3 Way Grafted Apple Tree with Pink Lady, Fuji and Royal Gala (they are her favorites) and while it may be interesting to go for those, I have decided to buy the dwarf varieties.....a Pink Lady (that I have with the Pinkabelle) a Granny Smith for cross-polination and possibly a Fuji soon. For sometime, I wondered why all the fuss about Fuji apples until I tried some on sale one day and suprisingly, they tasted very similar to the Pink Lady apples. They are also very juicy! 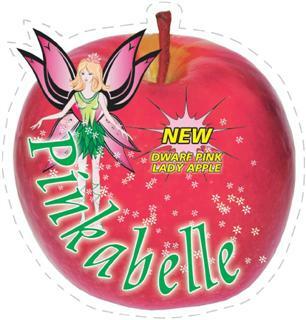 So they are a good option for pollinating Pink Lady apples all you fellow fans out there! How many fruit can we expect when tree is 3yrs....then 5-6 years? I love my beautiful new Golden Delicious Apple Tree - my mum's favorite apple! I found a really nice shapely one at Bunnings 2 weeks before Summer with 5 nice even branches. Everyone admired it on my way out the store. My mum is 90yrs and lives interstate with my sister now. I love to have a few fruit trees that remind me of her - makes her feel a little closer. I have just decided to grow this one with my Pink Lady Pinkabell and I am looking for a nice Dwarf Fuji Apple Tree to pollinate both of them. Have just bought a Ninja Pro (super blender) recently and will be adding the golden delicious apples later to a few special Vege Blends I make. Voila!!! I am waiting for Daley's Dwarf Avocado Trees to become available - not sure when. I think that avocado would be nice with golden delicious apple and celery as a loose salad snack! 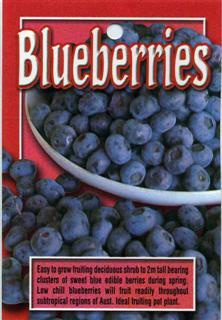 Comments: - Thought I would have a few varieties of Blueberries, so I added this one. It looks lovely and healthy. I;m growing mine in pots but John Hartley says that they are a great plant for Edible Landscaping - that is a fast growing trend these days - because they have blue-green foliage for most of the year with shades of puple during the colder months followed by pink flowers in Spring. They can grow large crops of berries on a relatively short 150 chilling hours. This is my latest citrus tree I am excited about....really healthy and a good formation. It was grown by Pocket Pockets but is worth mentioning. I am going to feed my citrus with SOILCHARGE by Alternative Gardening Solutions. 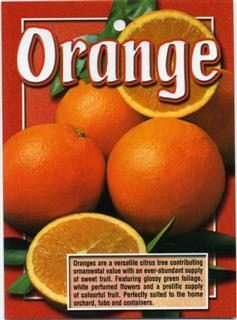 I was strongly advised by Bunnings to use a Premium Citrus Potting Mix....they cost the earth and have questionable wetting agents in them plus 'Osmocote' - I used to like before I did Natural Health Research 20 Yrs. 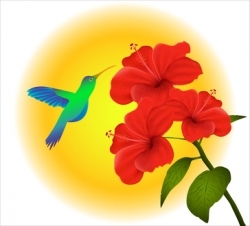 If you wish to know more, go to my hobby site in About Me. I have researched SoilCharge and happy with my discovery - I won't need what Bunnings recommended. I like to go Organic and you do need to be careful that there are plenty of Trace Elements. For me, SoilCharge satisfies that demand. I found an interesting tree tree on the Net called Lemon Heaven recently that fruits in clusters. Only thing was, it's exclusive to PlantNet sold only in Queensland .....NSW and WA in 2016 so SA and VIC have to wait due to some quarantine laws (state to state). Makes me value my Eureka and Meyer all the more! ECO-OIL (organic) as a precaution against problem insects such as aphids, mites, scale, whitefly and citrus leafminers! Did you hear the Eureka Lemon trees fruit ALL Year?